ZuZu is a nice dark fawn girl with great confirmation, nice leg coverage and a good bite. Her sire, TGF Royal Tribute, is an award winning herdsire. 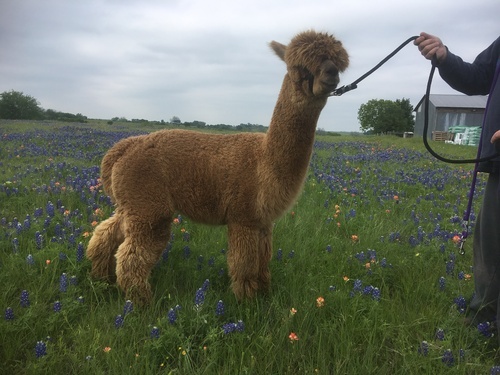 She comes with a male cria , DOB 12/3/18. In the spring of 2019, she will be bred to Xanadu P Adorno who is in the top 1% of 6 EPD categories. Adorno has consistently thrown show quality Cria.